Deputy President David Mabuza on Thursday said that the head count in the public service would have to be reduced eventually. He was responding to questions in the National Assembly. After Inkatha Freedom Party MP Mkhuleko Hlengwa challenged the deputy president to explain how government would be tightening its belt to reduce the cost of living for South Africans, Mabuza said government would eventually have to confront the issue of the public wage bill, which he said was unsustainable. “The president has announced in his State of the Nation Address that we are going to reconfigure government. That process is happening and he will announce on it in due course. 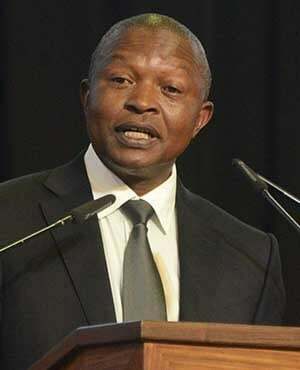 We have looked at this and realised that, probably, we need to scale down the public service,” Mabuza said. He did not explain how or when this would take place. Mabuza said that the cost of living was too high, and government had to do all it could to alleviate the impact on poor South African households. The deputy president's remarks are in line with statements made by Minister of Public Service and Administration Ayanda Dlodlo about the need for severance packages and early retirement without penalties to shrink the size of the public service. She has rejected reports of large scale retrenchments in the public service. Her department has said in the next five years government would have to consider reducing the headcount of the public service through means of natural attrition and severance packages, but clarified there were no concrete plans to retrench public servants. The reports of retrenchments left public servants and the Congress of South African Trade Unions irate, with the labour federation stopping just short of saying that it would consider withdrawing its support for the governing African National Congress at next year’s national and provincial elections.